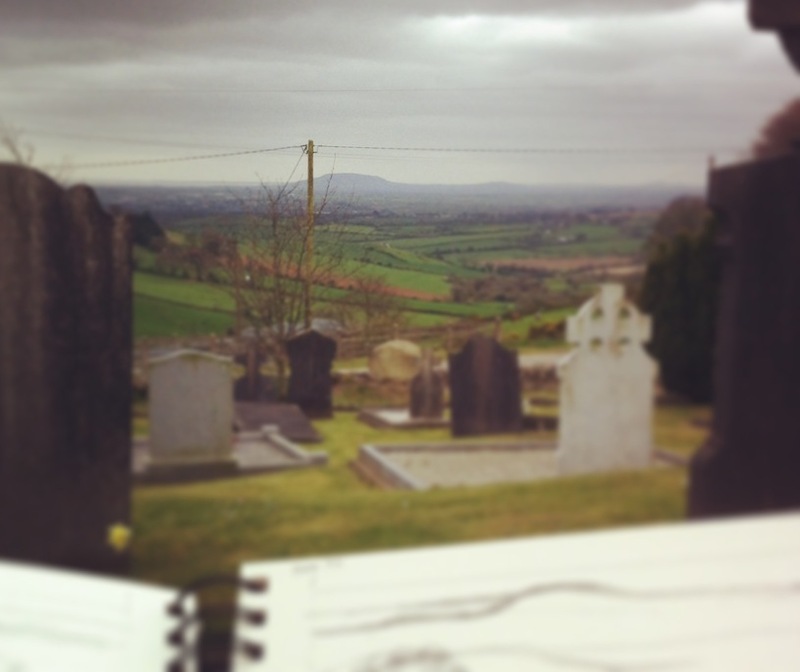 For my latest etching, I went up to the nearby hills and sat in a very old graveyard, where I could get the best view and sketched away what quickly crept on to the next page of my panoramic sketchbook. I wanted to capture the gentle slopes of the hills, dotted with livestock while the farm below nestled in the dip before the undulations, while in the distance the faint hills and glimpse of the bay were a reminder of where you were. In order to achieve the myriad tones on the plate I spent many hours in the basement of the Graphic Studio aquatinting and etching with the acid …. Here is the result, a panoramic landscape complete with a tumultuous sky! Feel free to contact me if you would like to buy one.